Wally Lamb is an author who takes his time, but never wastes yours. In the course of telling his story he goes to unexpected places, I kept thinking, 'go there, write some more about that!' If you're familiar with another of his books, "I know this much is true", he revives Dr. Patel--a soft and wise psycho analyst who is a great of all time. The tale is a tragedy, each turn sadder and sadder. However I wouldn't let that stop you from hearing/reading this awfully wry meditation of a farmhouse and the lives spun around it. Lambs writing is on par with Richard Russo (Empire Falls et.al. ), Jeffry Eugenides (Middlesex), and Jonathan Frazen (The Corrections), so if you like these authors you will be at home here. As for the the narrator, one earlier reviewer unsympathetically likened George Guidell to Edith of All In The Family, and I had to laugh, it's true! But that is as far as I agree, GG is probably the most gifted narrator I've heard, very good at inflections and tone. The story telling is alive, totally vivid, and his voice is true to the mood and character of the novel. I 100% recommend this book! Certainly not a happily ever after story - and I knew that before listening. 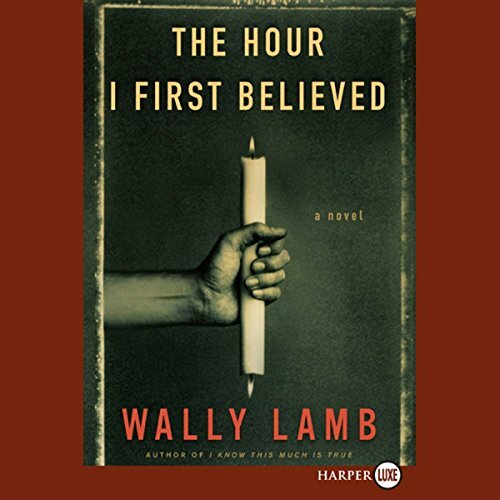 To be sure, Wally Lamb is a very accomplished novelist. His style is solid and he paints a very realistic picture, weaving fact and fiction; the horrific events at Columbine and Lamb's characters touched by this tragedy. The details are rich and complex. The dialogs are plausible and engaging. The story is deep. All in all, a quality novel well crafted. Still, near the end of the book I found myself saying "enough is enough." How much pain and suffering must these people endure? For me, it begged the question "WHY?" Why so much? After a while the realism of the story began to unravel, with what felt like gratuitous tragedy for tragedy's sake. However, this should not stop one from listening to an overall very good book, skillfully read by George Guidall. 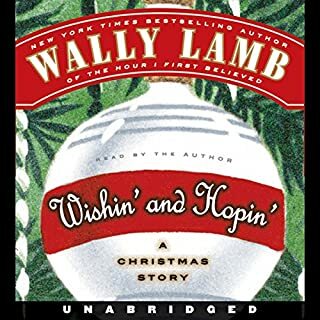 Wally Lamb is one of my favorite authors, but he certainly isn't Grisham, where you can count on a new book every year. This one took 10 years. And, in some ways, it was worth the wait. But, for those (like me) who were blown away by She's Come Undone or I Know This Much is True, this newest long novel is a bit of a disappointment. It is STILL better than your average novel; his juxtaposition of actual Columbine characters and events by making his main character the husband of a teacher who lived through that tragedy is clever and captivating. Further, his personal commitment to the betterment of women's correctional facilities (see his "testimonials" non-fiction work from 2004) has also been incorporated. This book takes a while to get into--there is almost too much background to cover before it can settle into the flow of the novel--but it is worth the commitment of time. You won't regret listening. It IS unfortunate, however, that Audible has not been able to get the unabridged versions of the previous novels incorporated into its database. 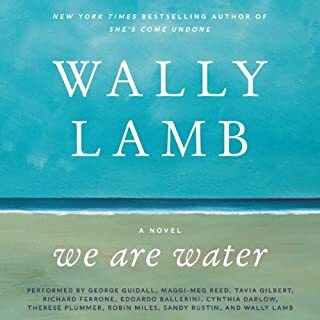 This IS the best Wally Lamb offering in Audible, but there are two that are a lot better that will hopefully be here eventually. There were several things I really liked about this book, and top amongst them was the clever way that the lives of these fictional characters were interwoven with the actual happenings and events, I felt it was done very skillfully. I also felt that there was a very intesting exploration in the story of the concept of "victims". Who are the 'victims' of a tragedy, and how the 'victims' of such an event can 'ripple out' way beyond those directly involved. The story also makes one consider how people can simultaneously be both victims and perpatrators. It also made me consider that however much we feel we are in charge of our own destiny sometimes, 'chance', 'fate' and plain bad luck, can knock you off course in small or major ways. This was a very intersting story, and I had a lot of sympathy for the characters. That said I felt it could have been edited to produce a somewhat tighter narrative, and some of the 'historical' passages were a little over detailed to know real point. 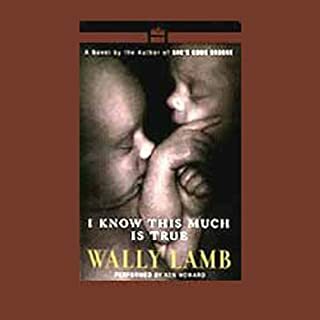 Not this authors best book in my opionion, if you want to read Lamb at his best go for an unabridged version of 'I know this much is true'. That said this was still an excellent story and well worth a listen. Wally Lamb is an excellent writer. The first half of the book had me interested and anticipating every minute. Caelum and Maureen Quirk are intriguing and real and Lamb did an excellent job of character building. The way he developed how the tragedy of Columbine affected every part of their lives from how dysfunctional his wife became to how understanding and patient he became, which was not his nature. You feel the emotion this couple have had to deal with and how that day changed everything forever. After the shootings, they fled from Colorado to Connecticut to live in Caelum's family farm and to bury Caelum's aunt whom he loved. There they would attempt to rebuild some sort of a normal life again, however more tragedy ensues and their lives take another tragic turn. This is where I find the book gets into a hodgepodge of stories. As Caelum is sorting through his aunt's effects, he comes across old diaries, clippings and documents, which reveal all sorts of family history and secrets that help Caelum, come to terms with who he is. It is through the reading of many of these historic papers that I found my mind wandering. I was able to concentrate on the important parts, but they were buried in a mountain of unnecessary information that could have easily been edited out without doing any harm to this novel. As for the narrator, George Guidall, I thought he was excellent. He has that "tired" and raspy tone to his voice. Perfect for someone like Caelum. He really added personality to the main character. Although this book is definitely worth listening to, I can't say I'm not just a little disappointed. If I could, I would have rated it 3 1/2 stars. This was wrote with so much emotion, I really felt true sorrow for both Moe and Kalem. They went through so much tragedy but yet both showed incredible strength.The writer really did a great job drawling me in. I could not stop listening to it and had it finished in less than 2 days. I have worked with Columbine survivors and was interested to see what one of Oprah's stars had to say about that tragic time. It's great for the first half but he just gives us too much tragedy after tragedy and then it just gets tedious.I found 2/3 of the way through I was really itching for it to be over. It is very heavy handed. Better editing would have made this a much better book. Get the abridged version and it will probably be better. This isn't a book. Like Wally Lamb's others, it was a journey. When you finish, your brain is tired. But it's very well-written and interesting. It wasn't one of my favorite books but I'm glad I listened to it. I also love George Guidall, the narrator. Don't expect this to be a book about Columbine - it's not. What happened at Columbine is the event that sets the book in motion and weaves it's way throughout the story of Calum Quirk. Enjoy! I often wonder what type of life Wally Lamb has lived. His books are full of mental illness and incredible adversity. Sad lives across generations. Strength in loss. sometimes it was just too sad to read and too real. Well written and engaging. Having read other Wally Lamb novels, I'm already a fan and was surprised to see no other comments, so felt compelled to offer a view. He has great insight into the complexities of modern relationships and writes female characters so well. It was sometimes difficult listening,(a bit depressing in places, given the tragic Columbine theme) but real and poignant; and like his other novels, full of hope and optimism despite this. Great narration - a warm and wonderful voice I'd be happy to hear more of. 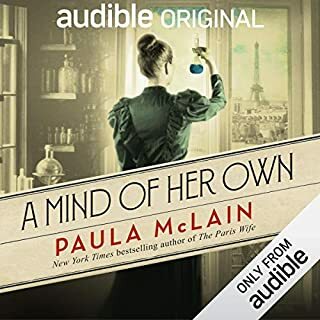 Would you consider the audio edition of The Hour I First Believed to be better than the print version? The Hour I first believed is a long story and part of the story goes back in time. I do believe that the fact that you listen to the story makes the story an easier bite to chew. The story is by no means tedious,I love it and it really has given me food for thought but the story is also filled with small stories within and the narration helps to keep the story together. I liked that it was totally unpredictable and I loved the different characters. It was too long to listen to in one sitting and breaks was needed but I longed to get back to the book and I am sorry that it is ended. I recommend this book warmly. 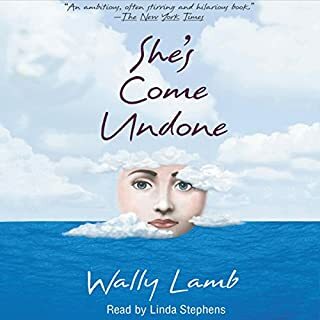 I'd never heard of Wally Lamb but was attracted by the wonderful voice of George Guidall, who is one of my favourite narrators, and the title comes from Amazing Grace which I sing regularly. What a find this writer is! The story is very well constructed and, in brief, is about the traumatic effects of the Columbine massacre on the wife of the main character, who survived the attack by hiding from the killers. I won't give away any more of the plot but will only say you'll find it hard to stop listening to this absorbing and intelligent novel. I'm definitely going to look out for more of this author's work, especially if the lovely George is doing the narration. It's George Guidall reading Wally Lamb.... enough said! A match made in heaven. Absolutely doesn't disappoint. Marvellous thought-provoking plot and wonderful prose. Loved it! I bought this as it was narrated by George Guidall - I love his voice(s) - and had no idea what to expect from the book itself.. It's difficult to summarise as it has so many facets. It was moving, challenging and just so human. Thank you. Loved this book & the way it went back & forth in time. Having read other reviews, I thought this book was worth buying. I was prepared for the traumatic events and I think the writing and the reading were fine, BUT I get so fed up with so many 'F'words - I don't use the word myself and although I accept, but don't like the fact that it is a commonplace adjective in modern life, I really got fed up with having it shouted in my ear over and over. 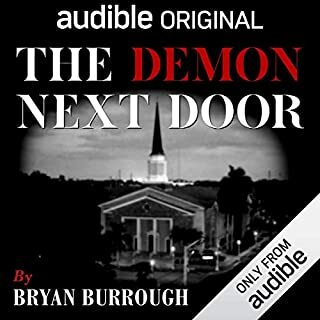 Gave up with the book halfway through the first part and returned it to Audible for a credit.